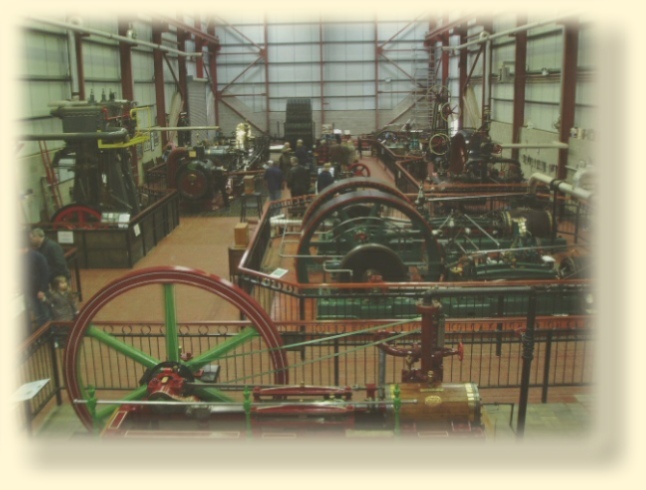 The museum has an impressive collection of restored stationary steam engines. In total around 18 steam engines & pumps are on display, the majority of which can be run on steaming days. Housed in a purpose built building they have been lovingly restored , rebuilt and maintained by a dedicated team of volunteers, who are always willing to show you around and explain things to you - why not pay us a visit, you will not be disappointed. 700 HP tandem compound mill engine ‘Agnes’. Port engine from the paddle tug ‘Reliant’. Several other ships marine engines. Engines from breweries and other industrial sites. A variety of steam pumps. Large Beam Engine - under restoration. Open to the public on steaming days. The Museum is situated on the same site as Markham Grange Nurseries and Garden Centre. Ample car parking is available. Coaches are welcome providing prior notice is given. Within the garden centre is a cafe for hot and cold food and drinks. Also within the garden centre are a number shopping outlets. Between the winter months of November to February, there will be limited steaming on Wednesdays i.e. only two or three small engines will be in steam. Where possible, during this period, there will be normal steaming on New Years Day and Sundays. The Museum uses steam from the same boiler that serves the Nursery, which must have priority at all times. Because of this and other circumstances beyond our control, there will be times when we cannot steam the engines. In particular there will be a period of weeks, usually in June or July, when the boiler will be shut down for its annual, statutory boiler inspection and maintenance. 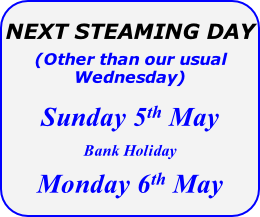 When this happens the Museum will be open on the Wednesday steaming days,(not Sundays or Bank Holidays), but the engines will not be steaming! Details will be posted in the museum and on the website as soon as they are known. (It's as well to telephone before setting off :- 01302 330430). PETTER Junior Oil Engine 5 B.H.P.